Ada County Sheriff’s Office investigators are working to determine what caused a 61-year-old Eagle man to lose control of his pickup truck on Swan Falls Road Friday night. Rusty Schwinn died late Friday night at a local hospital from injuries he sustained in the crash. 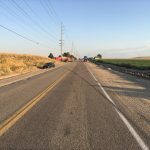 Deputies were called to investigate a single vehicle rollover on Swan Falls Road near the King Road intersection around 8 p.m. Friday. The pickup truck was going southbound on Swan Falls Road at a high rate of speed when Schwinn lost control. The truck went off the side of the road and rolled over, coming to a stop on its side. Schwinn was in the truck by himself and was thrown from the truck during the crash. Paramedics arrived and took Schwinn to a local hospital, where he was pronounced dead hours later. Evidence tests show he had a .20 blood alcohol content (BAC) level after the crash, which is more than twice the legal BAC limit of .08 in Idaho. 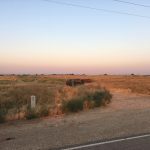 Officials with the Ada County Coroner’s Office determined the cause of death was blunt force trauma and the manner of death was an accident.